Davy Wright remembers watching the greenhouses being built on his family’s property in Plantersville. He was 8 years old, yet already a veteran of the greenhouse and nursery industry. “I’m 33, and I’ve pretty much been involved for 33 years,” he jokes. In 1967, his grandfather founded Wright’s Nursery & Greenhouse, which serves north and central Alabama. Davy Wright spent much of his childhood learning about the business, by growing his own plants to sell to family and friends. Yet he was already thinking about the future of the business. In 1996, he worked with his dad to add a computerized transplanting line that made the greenhouse more efficient. The nursery now sells between 4 million and 5 million plants a year, he says. Most are sold commercially to retailers or landscapers, although he also sells directly to consumers. Wright credits the Alabama Grown website for helping consumers learn about his brand. It’s a year-round business, Wright explains, and he relies heavily on his staff of 14 to keep the business moving forward. 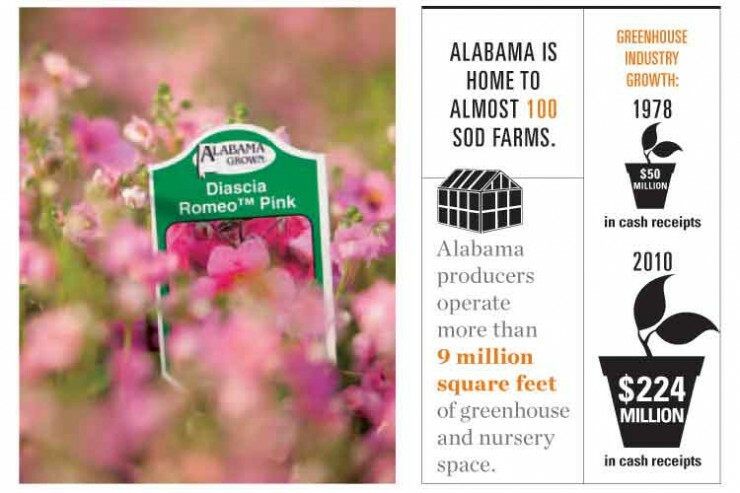 More than a few Alabama residents rely on the greenhouse and nursery industry for their livelihoods. As of 2007, 3,400 companies employed 43,000 in the state, according to the Alabama Nursery and Landscape Association. The industry’s sales had also increased by a billion dollars in just four years, hitting $2.9 billion in 2007, according to the association’s director, James Harwell. The real estate downturn halted that growth temporarily, Harwell says, though there continue to be bright spots. That nesting effect has kept business steady for landscapers and landscape maintenance companies, Harwell says, with homeowners and commercial real estate owners changing out plantings to keep their landscapes fresh and vibrant. And that attention to beauty pays off. According to data gathered by the American Nursery & Landscape Association, this type of work can add between 7 and 15 percent to the value of a home. It’s definitely an investment back into your home. 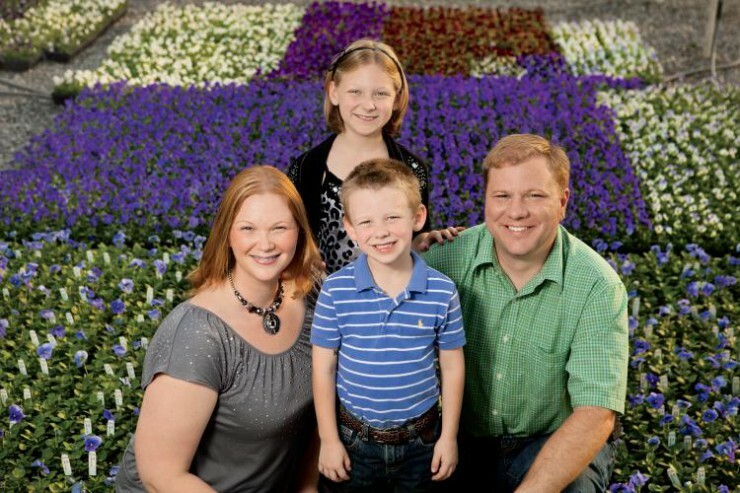 Alabama growers, like the Wright family, are a big part of the nursery industry nationwide. Bonnie Plants, which was established in 1918 in Union Springs, has evolved into a brand-name supplier to large garden centers nationwide. You’ll find its plants at Wal-Mart, Lowe’s, the Home Depot and smaller sellers. More than 70 of the company’s grow stations dot the nation. Another grower with a wide range is Southern Growers, based in Montgomery, which sells to independent shops and landscape companies in Alabama and neighboring states. Southern Growers’ roots reach back to 1950, when it started as a retail florist. The florist eventually grew into CCC Associates Co. Inc., which also manufactures artificial plants and flowers. The nursery, which covers 90 acres, employs 40 people year round and 20 more in the spring. do you wholesale plants to small businesses?